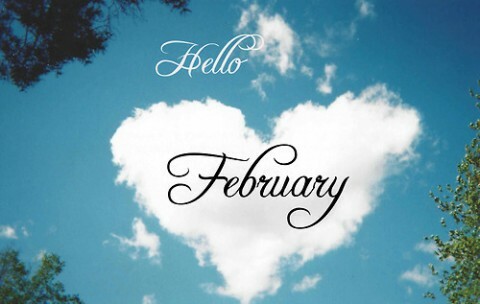 How the heck is it February already? It feels like it wasn't that long ago that all of the decorations were going up in preparation for Halloween, then Thanksgiving and Christmas! January flew by and it was a pretty great month. These are some goals I have picked out for February. Last year I went to reformer pilates classes at least 3x a week. After about 8 months of going to those classes, I got a bit bored and felt it wasn't challenging me enough. I signed up for Barre classes last week and so far I am loving it! Barre is a combination of ballet, yoga and pilates with some cardio bursts thrown in. It is honestly the challenge I needed. The class makes my legs shake so much and I feel amazing after it...if a little sore! Now that I am working, I actually find that my water intake has been quite good. I have a bottle of water that I keep on my desk and drink throughout the day. I did try infusing it with lemon but after a couple of hours it was sour so I will just stick to plain. I am definitely drinking more water than I used to. So over here learning to drive is a little different. Unlike the UK, you have to pass your theory test before you can get behind the wheel of the car. Then you have to drive for a year (lessons or with an experienced driver) before you can sit the physical exam. I got my learners in December and went out driving with Dan a few times and wasn't too bad. Then for whatever reason I went out one day and panicked, since then I put off going out. This weekend though I went out driving again and it was much better than the previous time. It is something I definitely have to do weekly, otherwise, I will end up nervous for no reason. Blogging is something that I really got out of the habit of doing last year. Everything went a little bit up in the air with the move to Canada and all of the stress that moving somewhere new brings along. My blog ended up a little neglected but I feel like this is the month in which I will get back into the swing of things!